If you are new to Humax, simply click register and we'll ask you for a few details. Award winning subscription free satellite TV. 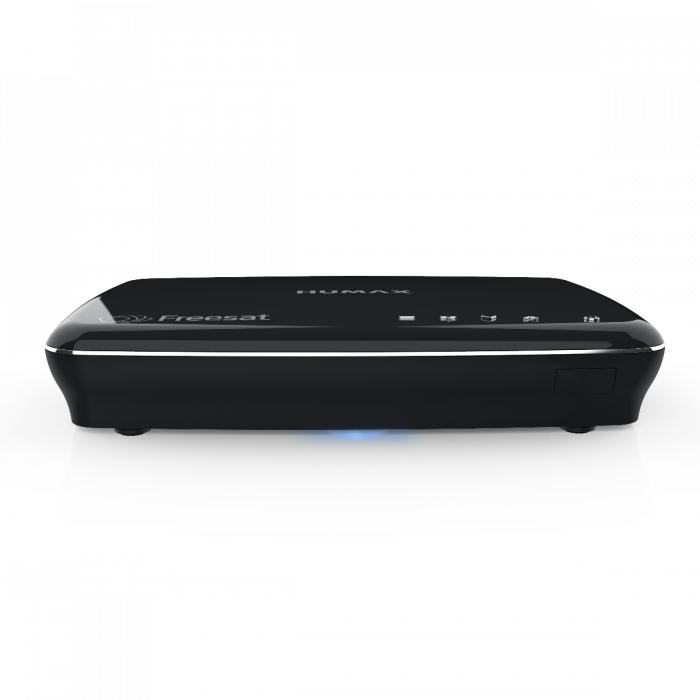 Humax Freesat set top boxes give you access to over 200 digital channels as well as 13 in glorious crystal clear High Definition, as well as the best catch up services including BBC iPlayer, ITV Hub, and Demand 5. Get all of this without any monthly subscriptions. Pause, Rewind and Record live TV. Record a single program or an entire series with series link. 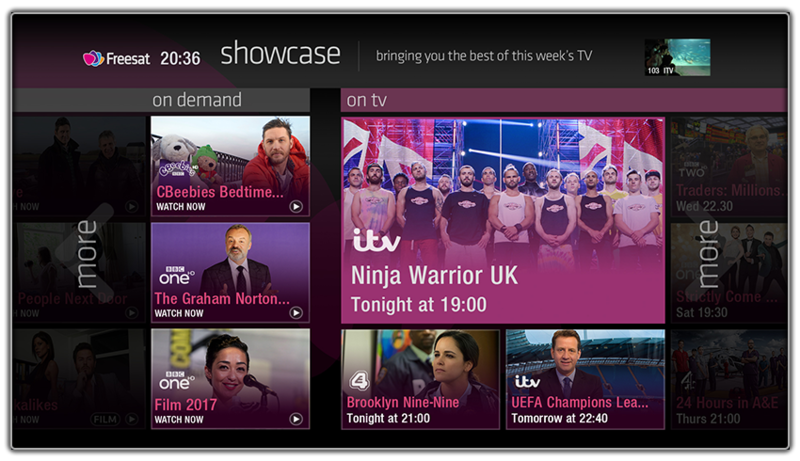 The unique Showcase section of Humax Freesat set top boxes on-screen guide brings you top TV recommendations to watch tonight and what not to miss in the next few days, plus what’s available now On Demand. Humax Freesat recorders come with a twin tuner meaning you’ll avoid clashes by recording 2 shows at the same time, whilst watching something you’ve already recorded. 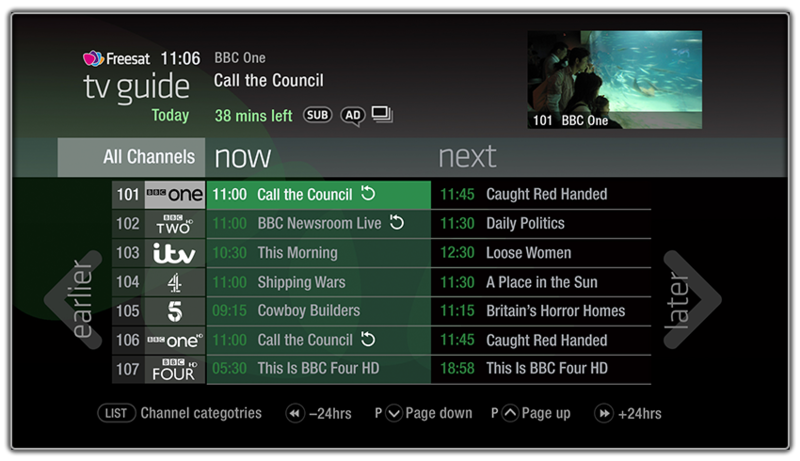 Watch and listen to over 200 TV and radio channels at the touch of a button with 13 in HD. 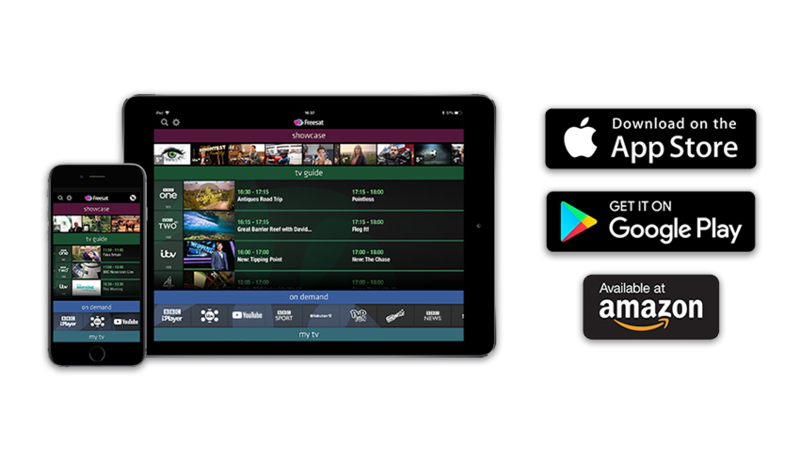 The smart on-screen TV guide that is easy to use via the remote control and enables you to quickly find the TV you want to watch. Catch up on the last 7 days of TV across 26 channels with the easy to use roll back TV guide and never miss the action. You can also view what’s coming up with now and next or plan your recordings a week in advance. Quickly find something to watch with the help of the Now & Next feature. Set reminders and recordings of individual programmes or create series links for up to a week in advance. 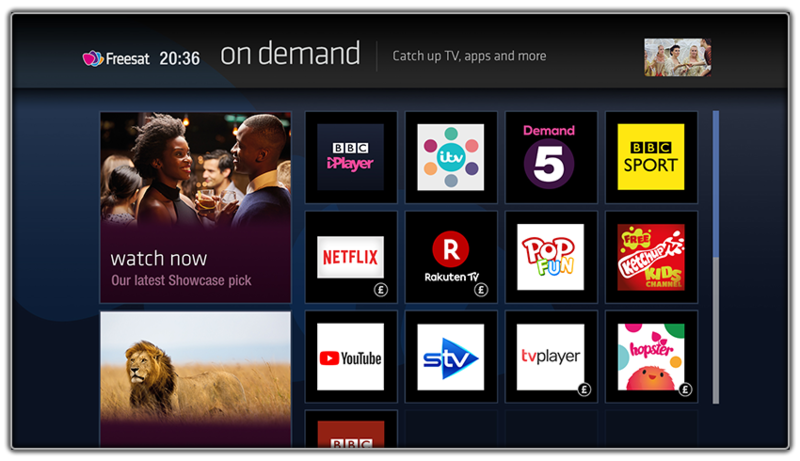 With Humax Freesat boxes you can enjoy the UK’s favourite Catch Up services: BBC iPlayer, ITV Hub* & Demand 5, plus video content on YouTube. There’s also news and video from the BBC News and Sports apps, movies on demand from Netflix and Rakuten TV. 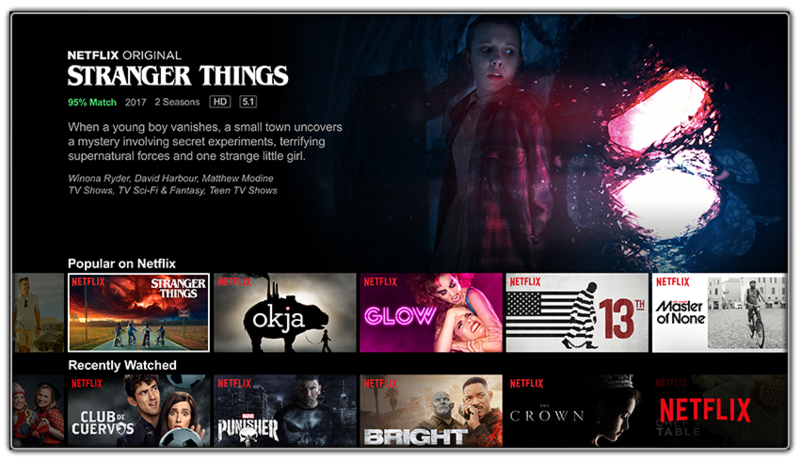 Netflix streaming service lets you watch a wide variety of award winning TV shows, movies, documentaries and thousands of hours of boxsets so you can binge-watch ‘til your heart’s content. This service requires a subscription that can be cancelled at any time. However, if you’re new to Netflix you will get a 1-month free trial. Your satellite LNB signal goes here. Warning: Aerial connections are not compatible. Don’t have a HDMI port? Use the traditional connections for Audio and Video. Connect your sound system via optical port. Connect to the internet via Ethernet cable. Prefer wirless? This product has built in Wi-Fi. Your secondary satellite LNB signal goes here. Warning: Aerial connections are not compatible. Connect your HD Ready TV to this recorder and enjoy content in up to 1080p picture quality.